A touch of ginger in Chivers Orange & Ginger Marmalade adds a warm and zingy flavour to this traditional breakfast marmalade. 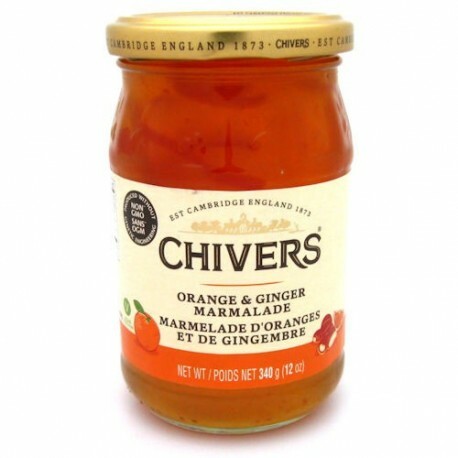 Chivers Orange & Ginger Marmalade contains no artificial colours, flavours or preservatives. 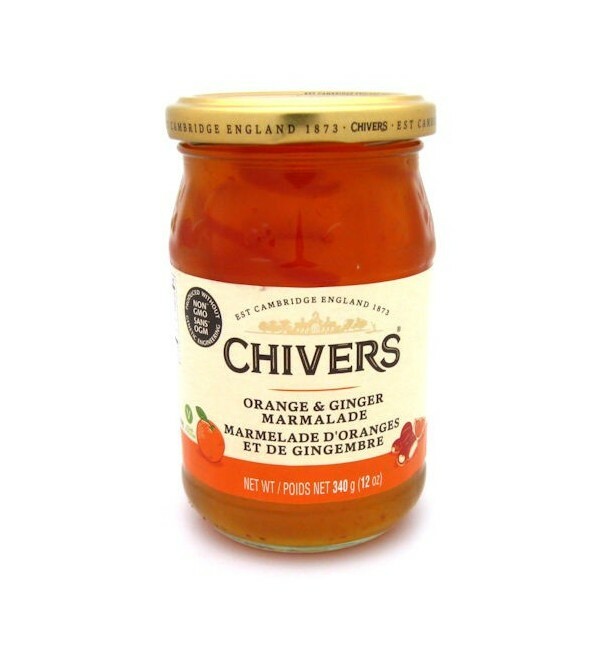 Chivers has been producing exquisite jams and marmalades in Cambridge since 1873. Ingredients - sugar, glucose-fructose syrup, oranges, water, ginger, pectin, citric acid, sodium citrates. Ingrédients: sucre, sirop de glucose-fructose, oranges, eau, gingembre, pectine, acide citrique, citrates de sodium.